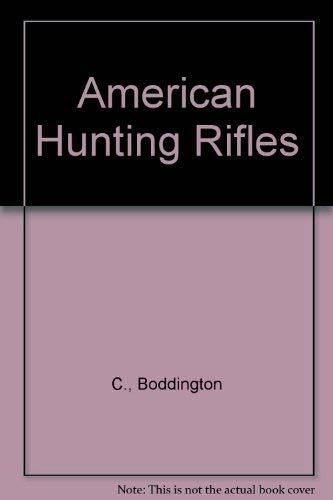 A companion volume to Boddington's highly acclaimed Safari Rifles, this comprehensive book covers all the hunting rifles and calibers that are needed for North America's diverse game. From the great bears of the Arctic to the diminutive javelina of the Southwest deserts, America's game calls for a large variety of calibers, and Boddington covers them all, in the thorough, clear, and concise manner that we have come to expect of him. This incredible work will be a guide to all North American hunters, whether you shoot whitetails on the East Coast or elk in the Rocky Mountains. It covers literally all North American big game and all imaginable rifles, calibers, and shooting gear. Like his Safari Rifles, this book will be one of the most worn-out and dog-eared volumes in your sporting library! Also contains a detailed 24-page index and outfitter recommendations on rifles and calibers.